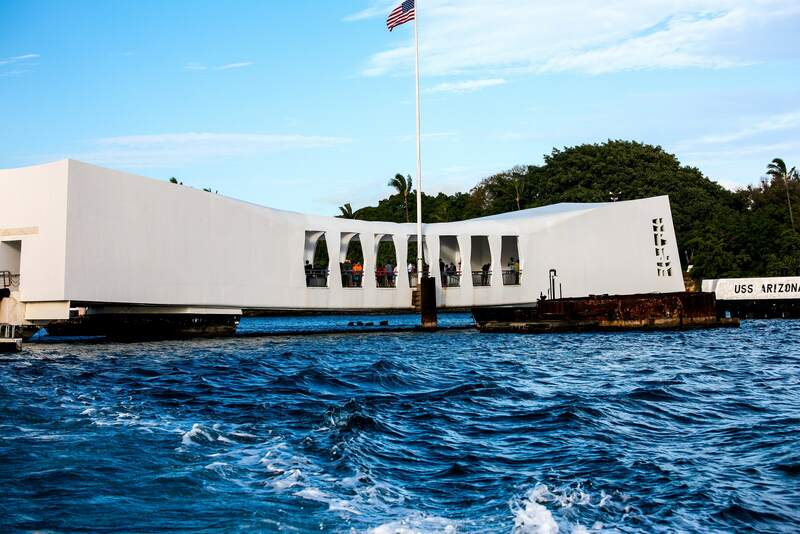 Besides Hawaii's sun and surf, more educational tours like the Pearl Harbor tour are also available. Built to honor the crew that perished in the attack on Pearl Harbor and the USS Arizona on December 7, 1941, the Arizona Memorial serves as the final resting place for nearly 2,000 servicemen. The USS Arizona Memorial floats above the watery site where the battleship was bombed. Honor the memory of those who lost their lives, and see their names in this monument dedicated to them. The Pearl Harbor Tours is a somber and moving experience. Dramatic photos and personal memorabilia can transport you back to the days when the US entered World War II. Reserve USS Arizona tour with SpeediShuttle and immerse in the Pearl Harbor Visitor Center experience. Pay respects to those who have fallen and continue the historic Honolulu tour. Visit the under appreciated attractions located in downtown Honolulu such as Iolani Palace and Kawaiahao Church. 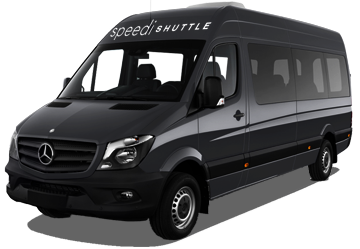 Our lunch provided on full day tours is the perfect meal to compliment your tour. Provided by Doraku Sushi, lunch is much more than just a sushi roll or a basic bento box. Doraku prepares their food with many unique flavors and with a style which has Asian and Hawaiian style fusion. Your stomach and taste buds will be fully satisfied and wanting to come back to Doraku. Doraku also has a delicious vegetarian option available with 24 hour advance notice of your Pearl Harbor tour date. 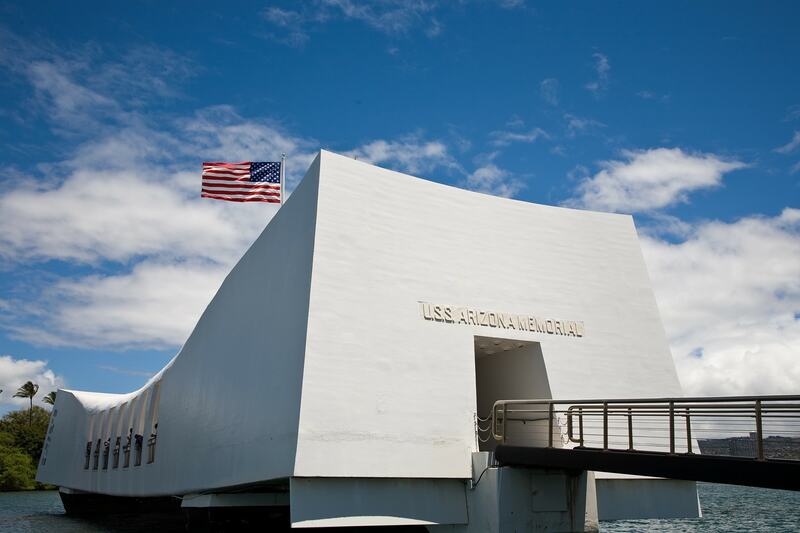 Reserve a Pearl Harbor Tour of USS Arizona Memorial & Historic Honolulu with Imi Tours! USS Arizona Memorial – A 184 ft long structure, the USS Arizona Memorial at Pearl Harbor in Honolulu, HI, marks the final resting place of the sailors and Marines killed on the USS Arizona during the attack on Pearl Harbor. The monument preserves and commemorates the stories of the Pacific War, and is visited by millions of people each year. Punchbowl National Cemetery of the Pacific - The National Memorial Cemetery of the Pacific dubbed Punchbowl is a national cemetery and serves as a memorial to those who have served the United States Armed Forces. On Memorial Day each year, special ceremonies are held and graves are decorated with leis. King Kamehameha Statue – There are several Kamehameha Statues throughout Hawaii including the most recognized statue in front of the Hawaii State Supreme Court and across from Iolani Palace. The18-foot bronze statue was sculpted by Thomas Gould in Florence and is one of Oahu’s most photographed landmarks. 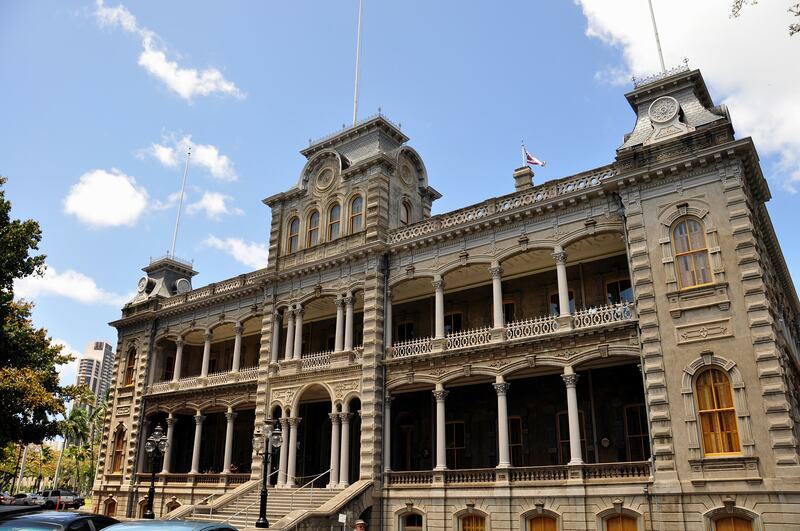 Iolani Palace – Discover Hawaii’s royal heritage at the Iolani Palace, the royal residence of the rulers of the Hawaii. Located in downtown Honolulu, the palace has been restored to its former grandeur with original palace furnishings and artifacts. It’s open to the public for guided tours and special events throughout the year. 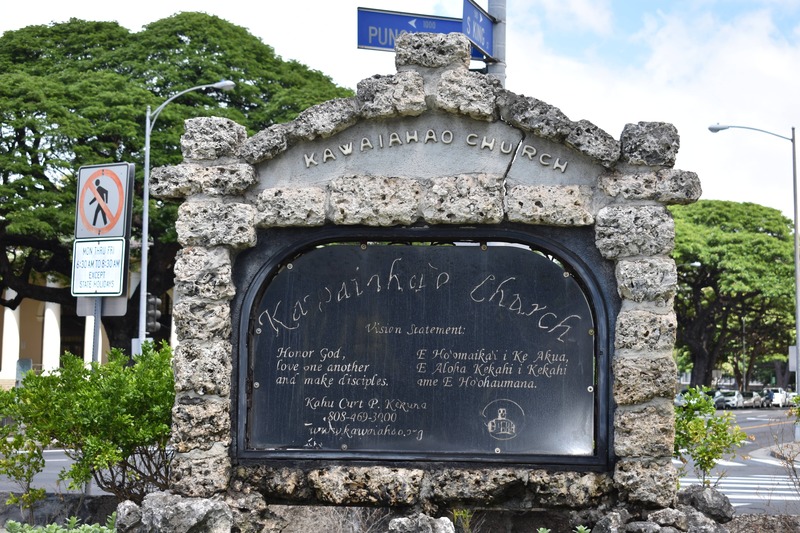 Kawaiahaʻo Church – Known as the "Westminster Abbey of the Pacific" and “The Great Stone Church,” Kawaiahaʻo Church was made from coral reefs hauled from the sea. The church and the mission houses comprise the Hawaiian Mission Houses Historic Site.